Located in Sarasota, Florida Graber Custom Homes stresses high standards and superior qualifications are assured in the team of professional artisans and craftspeople. 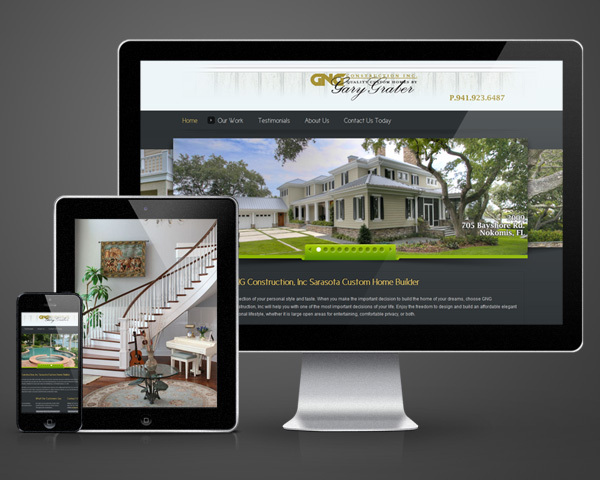 Graber Custom Homes wanted an identity and website that showcased the premier level homes they are building. Sarasota Design created a typographic logo incorporating the existing GNG Construction logo. Sarasota Design designed the website and layout. Next we implemented the design into a website management system that allows the client to make changes on the fly.